A person who has tasted the bitterness of adversity only can utilize and grab the opportunity very well. Emelda Julie, 20 yrs old girl’s story also gives testimony and adds value to this statement. 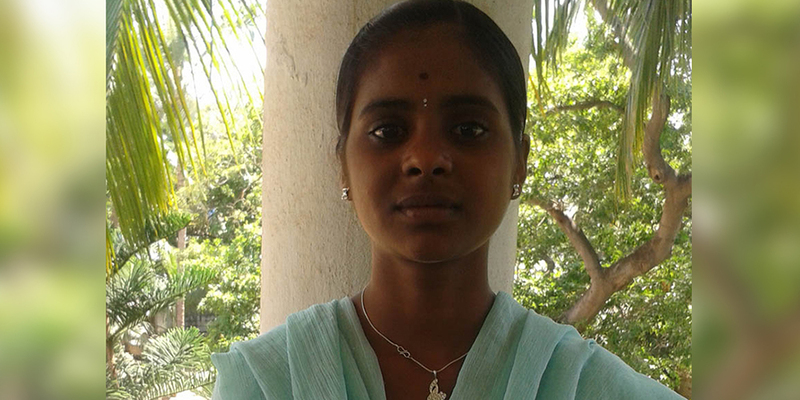 Emelda Julie, a fatherless girl hails from Madhavaram. Her mother is the breadwinner of their family. Emelda wanted to support her poor mother who was struggling a lot to feed and educate them. During the mobilization, DB Tech (Madhavaram, Tamil Nadu) team informed her about the Electrical training and placement. She was so happy to know that communicative English and basic computers would be taught along with the core subject. Convinced with that, Emelda joined the course. Emelda was proactive and took initiative in all classroom activities. After completing 2 months training, she got placed in Schneider Electrical India Pvt. Ltd for the salary of Rs. 7100/- per month. She was happy to become a part of well reputed company. She expressed that “DB Tech has given me a life time opportunity. Now I can converse in English. The training I got from DB Tech eradicated my shyness and I feel more confident now. Now we are not worried about our month end days which were once very hard to pass on without food. Thanks to DB Tech”.